Until this month, there was no federally recognized Indian tribe in the state of Virginia, an oddity since Virginia’s Native Americans have long been visible in American history going back to Pocahontas who supposedly saved British settler John Smith from execution by her father, Chief Powhatan, and married another, John Rolfe, accompanying him back to England in 1616. As of this month, Pocahontas’s people, the Pamunkey tribe, received federal government recognition, becoming the 567th federally designated Indian tribe in the nation and the first in Virginia. What makes the Pamunkey designation an item for commentary in the NPQ Newswire? Consider the Pamunkey Tribe during its long history as a constituent part of American civil society. Over that time, it provided community and political identity to the members of the tribe and operated pursuant to documents outlining governance procedures and membership criteria. 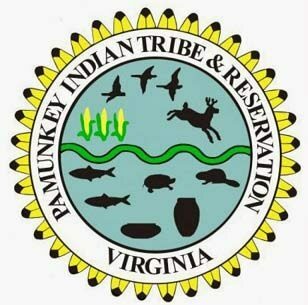 The designation and federal status will open up access to various federal government housing and social services and, according to Pamunkey tribe member Ashley Atkins Spivey, even funding to improve the tribe’s Pamunkey Museum and cultural center. The 35-year journey for the Pamunkey tribe through the federal bureaucracy was by no means automatic. During the past decade, the Department of Interior has approved 18 tribes but rejected 35 others. As the DOI issued its approval of the Pamunkey tribe’s petition, it rejected the application of the Duwamish Tribal Organization in Washington State, even though that is the tribe of the legendary Chief Seattle, from whom that city gets its name. As is the case with other nonprofits, the Pamunkey tribe was also opposed in its request for federal recognition by the Association of American Convenience Stores and by the Virginia Petroleum and Grocery Association, which feared that the tribe could choose not to charge taxes on retail stores on its land, giving those stores an advantage over competitors outside the reservation selling to non-tribe members. In the end, the Pamunkey Tribe prevailed, though with some unusual twists. It seems like the MGM behemoth somehow got the tribe’s leaders to acknowledge that while tribal designation means that they could build a casino, the site doesn’t look good for accommodating that kind of facility or the traffic it would put on roads in and out of the reservation and therefore they probably won’t. According to the Associated Press, there are 493 Indian casinos and 1,262 non-Indian commercial casinos. MGM may well have browbeaten the tribe into all but promising not to build a casino, which might be a good thing to keep away from the Richmond, Virginia area, but that hardly means that MGM Grand, which spent millions lobbying and sweet-talking Maryland legislators for the National Harbor approval, should get a get-out-of-jail-free pass given the likely impacts of its own gambling house on the region. Correction: This article has been altered from its original form. The Duwamish make their home in the state of Washington.